Catherine Medynski conducted research as part of her Master studies at Royal Roads University (May, 2018). 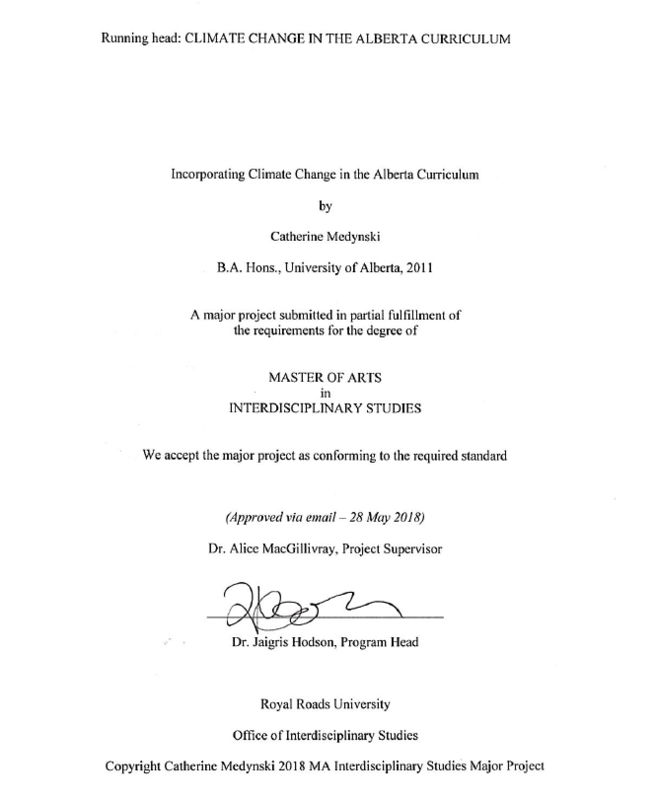 Her research explored the perceived factors required for the successful integration of climate change into the Alberta curriculum. 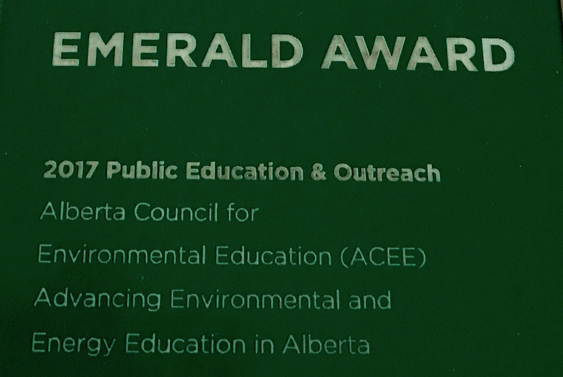 She held a series of focus groups and interviews with climate change education practitioners in Alberta and explored the successes and challenges they encountered with climate change education. Download the full paper. the importance of teacher and student engagement when teaching climate change. 1. Different communities can – and should – teach climate change in different ways. 2. Curriculum layout can make climate change education easier or more difficult. 3. There is opportunity to learn from what other jurisdictions have done or are doing with climate change education. 4. Successfully including climate change in the curriculum will require financial investment for training. 5. Including climate change education in the Alberta curriculum will be challenging but worthwhile. 1. Resources and training should be developed and provided to educators across Alberta. 2. Outdoor field trips should be funded for as many students as possible. 3. Climate change should be taught in a multidisciplinary way. 4. Training and resources should be developed and delivered to all those involved with the education of Alberta students.